I have to admit. I was a little nervous about this striped dress when I picked it out. It’s a sample from Downeast, which meant that it’s a size small, and I, my friends, am rarely a size small. When I opened the package upon arrival, I thought to myself, “There aren’t no way in heck that is fitting.” And I tossed it aside. So imagine my pleasant surprize a few days later when I put it on to find that it was super stretchy. The stretchiness combined with the light stripes ended up making it quite flattering. Yes, even flattering on my mom squish. And it fit! Online, it looked like it was stiff, but the knit material makes it versatile enough to be worn in both casual and more formal settings. I’m sure you could probably figure out tons of ways to style it yourself, but I’m sharing a few of mine for kicks. There are six ways in the pictorial below, but I’m going to specifically focus on my top 3 favorite ways. My favorite way to wear it, by far, is causally with a shirt around the waist and some Converse. I’m wearing the Shoreline model from Converse. I love it because it’s a little more girly than traditional Converses. It only has 4 grommet holes instead of six, which makes the foot look smaller. 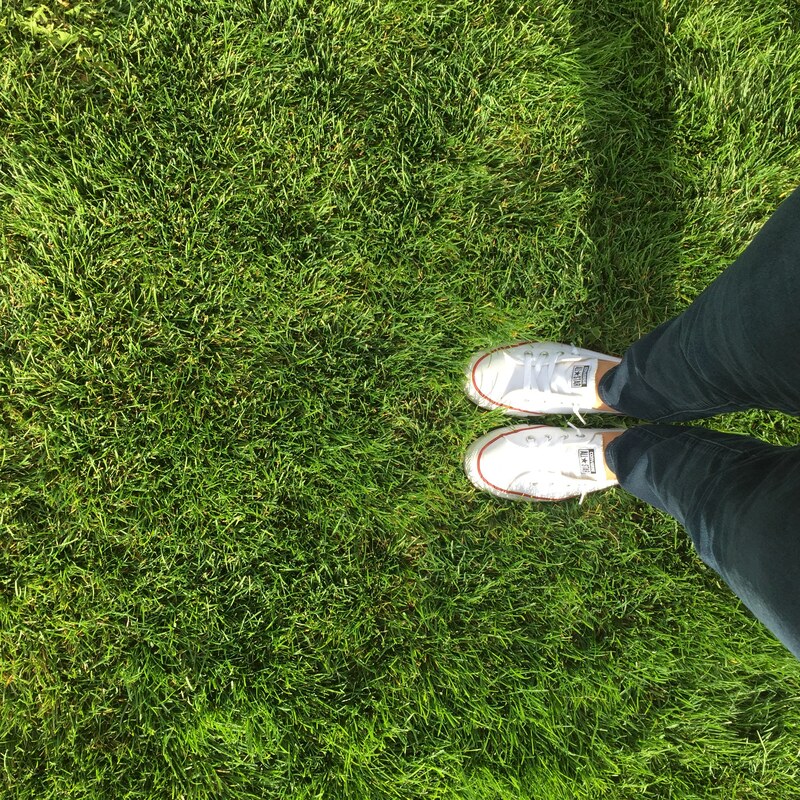 The ankle is also elastic, so it pulls right on and off without having to be tied, plus no ankle blisters! I love them. It took me about 2 weeks to buy them because I kept trying to get them for a deal. Turns out, almost all shoe store coupons are not valid on Converse. I finally found that you can get them on Zappos for $50 with FREE SHIPPING! This is, by far, the best deal I could find for them. You may have seen them on my Instagram a few times. My second favorite way to wear this dress is with some fall staples. I’ve had this hat for over a year, but I’m hardly ever brave enough to wear it. When paired with the dress and some strappy wedges, it’s easy to pull off. And finally, my third favorite way to wear the dress is a little unexpected–a cropped top. I made this top from an old robe, which you can read about here. I love that I don’t have to worry about my midriff actually showing, and yet I get the cropped top + pencil skirt look just by throwing one over the dress. 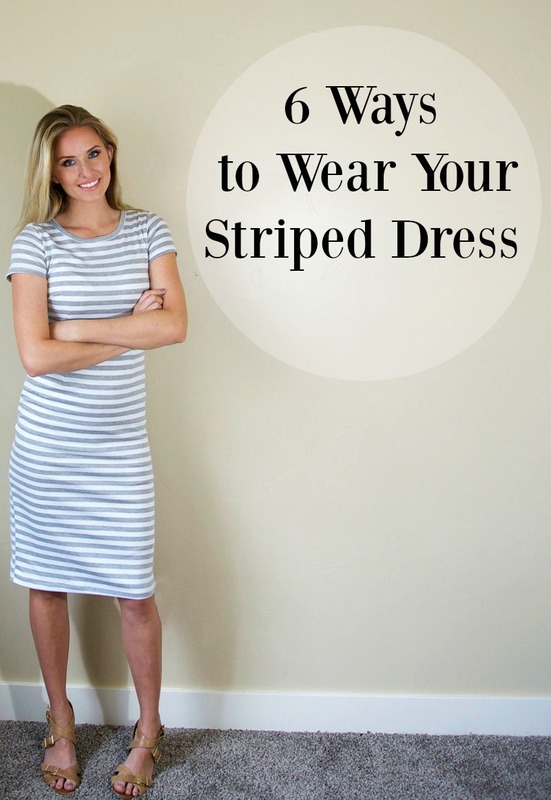 There are so many ways to wear the striped dress! And it’s currently on sale for $26 at DownEast. The dress has limited sizes right now, so here are some similar options. Click arrows to see all of them. I’m so sorry to say this but, “WHAT Mom squish?”!! This dress looks ADORABLE on you! Your fave ways to wear were mine also!! Again, ADORABLE! !